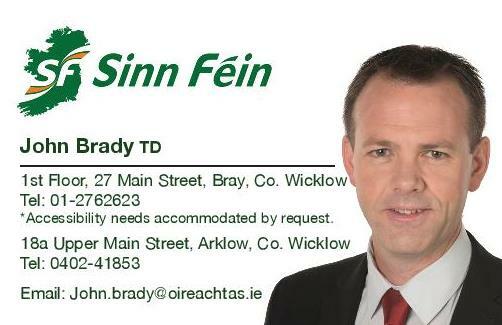 Sinn Féin TD for Wicklow and East Carlow John Brady has welcomed the not guilty verdict in the trial of the Jobstown protesters this afternoon. “The verdict of not guilty is a victory for the right to protest. The charge of false imprisonment was clearly trumped up. There were charges with an obvious political purpose - to demonise water charges protesters. “This trial will also serve as a significant burden to the taxpayer, with the cost of the trial expected to exceed €10m. “The right to protest is a democratic and hard won right. It cannot be brushed aside or diluted to suit a political agenda. “This was never a case about individuals; it was a case about the right of all citizens to protest. Thousands of people throughout County Wicklow took a stand against water charges and this is as much of a win for them as it is for the individuals vindicated today.